I don’t watch much TV, partly because the ad-ridden free-to-air channels are never showing anything watching when I feel like watching it (and I don’t care to be a slave to their timetable), and partly because Pay TV services such as Foxtel are so ridiculously overpriced. In spite of this, I don’t condone pirating (illegally downloading) shows online – not for moral reasons, but rather, pragmatic ones – which meant that my TV loving wife had to resort to the expensive option of buying or renting stuff on discs. Therefore, we were happy to discover the technical loophole that allows us to use the popular streaming service, Netflix. Usually, the site is restricted to access only from the countries where the service is offered: US, UK, Canada, and a few others. It does this by “geo-blocking” – reading your computer’s IP address to determine which country you’re in, and denying you access if you’re not in one of the service areas. The loophole works through a service that hides your real IP address behind a US-based one, thereby fooling geo-blockers into thinking that your computer comes from somewhere else. It’s probably not entirely legal, but does strike a happy medium between rewarding IP owners for their work vs. protesting the artificial restrictions placed on content by third party rights holders. So now we pay a total of around $13 per month (depending on the exchange rate) for a service that would easily cost hundreds of dollars per month with Foxtel. There are several websites that offer geo-unblocking services, but the one that I recommend is Unblock Us, because there’s nothing to install, it’s specifically tailored for streaming media websites, and they provide excellent instructions for setting up almost any device you might want to hook up to the service, including computers, tablets, gaming consoles like Wii and Playstation, etc. You can try it out free for one week, after which it costs only CAD$4.99 per month. Follow the instructions on the Unblock Us site to configure your devices. If you have wireless internet at home (i.e. all your devices connect through Wifi), then it is recommended that you set it up on your router instead of each individual device so that everything in your house gets it automatically. Now the easy part. 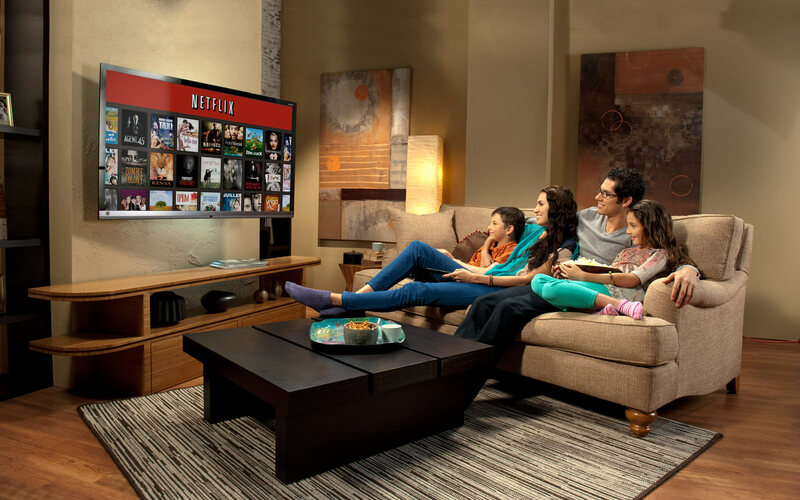 With Unblock Us configured, Netflix will no longer complain that you don’t qualify, and you can simply sign up for their one month free trial. After that, it only costs US$7.99 a month. Once that’s done, you’ll have access to an unimaginable wealth of TV shows and movies (including Netflix exclusives, like Season 4 of Arrested Development and House of Cards).